Vaitupu is the largest atoll of the nation of Tuvalu. It is located at 7.48 degrees south and 178.83 degrees west. There are 1,555 people (2012 census) living on 5.6 square kilometres (2.2 square miles) with the main village being Asau. The exact date of Vaitupu's first settlement is unknown. According to oral history, the founder of the Vaitupuan community was a Samoan by the name of Telematua, who arrived in the 16th or 17th century. 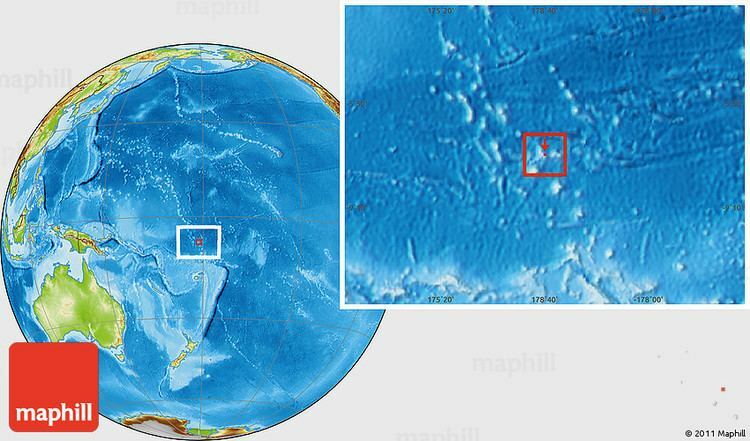 However, it is possible that Tongans may have first reached the atoll during the mid-13th century. Vaitupu has maintained contacts with Tonga throughout its history, both peaceful (alliances through marriage) and hostile (visits by Tongan slave-seekers). Vaitupu was also visited by I-Kiribati, and was thus far from isolated. Vaitupu means 'the fountain of water'. Obed Starbuck, a whaling captain, visited Vaitupu on the Loper in 1825, naming it 'Tracy Island'. The United States Exploring Expedition under Charles Wilkes visited Vaitupu in 1841. Samoan pastors from the London Missionary Society successfully introduced Christianity in the 1860s. The pastors implemented religious regulations, outlawing many cultural practices. They also introduced the Samoan language, as their Bibles were written in Samoan. Vaitupuans became literate in Samoan rather than in their own language. Vaitupuans celebrate Te Aso Fiafia (Happy Day) on 25 November of each year. Te Aso Fiafia commemorates 25 November 1887 which was the date on which the final instalment of a debt of $13,000 was repaid to H. M. Ruge and Company, a German trading firm that operated from Apia, Samoa. Vaitupu history is that Thomas William Williams, the Ruge agent, pretended to do his customers a favour by allowing them to obtain goods on credit. In 1883 the debt of the Vaitupuans was $13,000 and H. M. Ruge and Company had threatened to seize the entire island unless the debt was repaid. Neemia, a Vaitupuan pastor living in Samoa, returned and organised working parties to collect coconuts and prepare copra to sell to pay off the debt, with Henry Nitz, the Webber & Co agent on Vaitupu, contributing money to meet the final payment. The Vaitupuans, with the help of their friends from Funafuti, repaid the debt by the due date. Seven thousand dollars was repaid by 1886 and the balance was paid on 25 November 1887. Vaitupuan tradition is that chance favoured their efforts, a ship sent to collect the last payment sank, as did the second ship the trading schooner Vaitupulemele. By the time a third ship arrived most of the money had been collected. However, the trading schooner Vaitupulemele appears to have a different role in the history of Vaitupu. The creation of the debt that was repaid to Ruge & Co extended beyond the purchase of goods on credit to include the purchase price of the Vaitupulemele by the Vaitupu Company. While T.M. Williams had been the Ruge agent, he later formed the Vaitupu Company with the Vaitupuan community and purchased the Vaitupulemele from Ruge & Co. However the schooner was lost during a voyage from Samoan and soon after Williams died, leaving no accounting for copra that had been shipped from Vaitupu. In any event the Vaitupuans paid the full amount claimed by Ruge & Co, although that company soon after went into liquidation. Vaitupu Post Office opened around 1916. The population of Vaitupu from 1860–1900 is estimated to be 400 people. Vaitupu is home to the second-largest population in Tuvalu, numbering 1,576 (2002 Census) and 1,555 (2012 census). Despite its relatively large size, Vaitupu became so overcrowded during the 1940s that a number of families migrated to Fiji to live on Kioa Island. Neli Lifuka was the magistrate on Vaitupu from 1945 to 1951. He was instrumental in collecting the funds to purchase Kioa Island in Fiji. 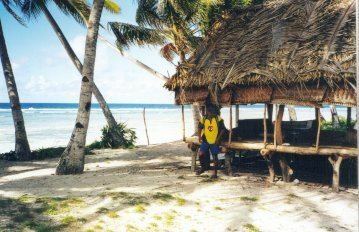 Initially 37 people migrated from Vaitupu to live on Kioa Island; within a decade, more than 235 people followed. The primary school on Vaitupu is called Tolise. There used to be a primary school called Elisefou (New Ellice) on Vaitupu. The school moved to Vaitupu in 1923 and closed in 1953 when the government primary school was established. Its first headmaster, Donald Gilbert Kennedy, was a known disciplinarian who would not hesitate to discipline his students. The two most famous Tuvaluans from the school were Tuvalu's first Governor General, Sir Fiatau Penitala Teo and its first Prime Minister, Toaripi Lauti. Kennedy published Field Notes on the Culture of Vaitupu, Ellice Islands in the Journal of the Polynesian Society in instalments between 1929 and 1932 and as a book in 1931. Motufoua Secondary School was established in 1905. Over time the school has evolved and it is now is a boarding school for boys and girls that is administered by the Department of Education. In 2009 the student roll at Motufoua Secondary School was 550. Vaitupu received worldwide attention in 2000, when a fire in a dormitory at the Motufoua school killed 18 girls and a female adult supervisor. It was later discovered that the fire was caused by a student using a candle to read during the night. The Prime Minister Ionatana Ionatana declared a national tragedy and quickly travelled to the island to witness the aftermath. A memorial service was held the following year in memory of the 18 girls and their matron who tragically lost their lives. Tuvaluan leaders as well as parents of the victims attended the memorial service. In 2010 what was then described as the largest diesel-solar photovoltaic (PV) hybrid electricity system in the South Pacific was installed at Motufoua Secondary School. Prior to the instalment of the system the school relied upon a diesel powered generator, which needed to be turned off during the night. The hybrid system systems saves thousands of dollars in diesel costs and provides the school with a 24-hour supply of energy, with up to 200 kW per day. In 2014 New Zealand and the European Union agreed to provide finance to the Government of Tuvalu to install battery-backed solar photovoltaic (PV) systems for the outer islands. From January to March 2015 Powersmart, a New Zealand company, implemented German solar power technology to build the new Vaitupu powerhouse. The island, which covers approximately 5.6 square kilometres (2 sq mi), includes swamps, mangroves, a fringing coral reef and a large lagoon. The biggest island is Vaitupu proper, followed by Tofia. Motufoua Secondary School was recorded in the 2012 census with 502 people. 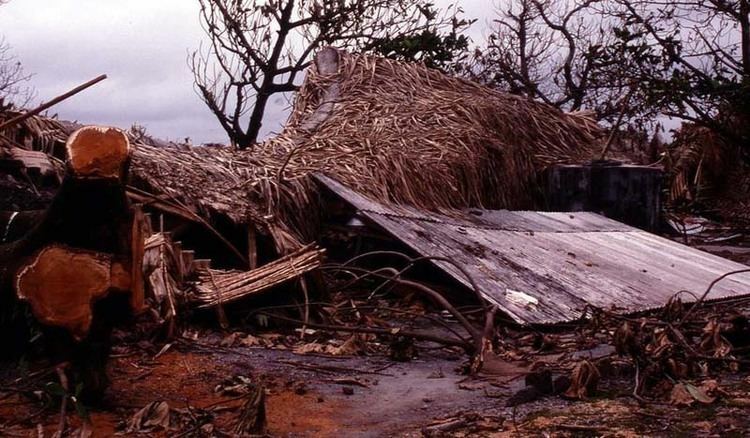 Cyclone Ofa had a major impact on Vaitupu on 30 January and 1 February 1990 with around 85 percent of residential homes, trees and food crops were destroyed. In the 2011 Tuvalu drought Vaitupu experienced the loss of coconut palm trees, pulaka and taro due to the high temperatures and arid soil. In March 2015 Vaitupu suffered damage to houses, crops and infrastructure as the result of storm surges caused by Cyclone Pam. The only village on Vaitupu consists of the neighbourhoods Tumaseu and Asau. There is a church, Tolise Primary School, at least one guesthouse and a post office. An aquaculture project has been established in the lagoon. The community activities on Vaitupu include the Nafa Moa and Talo (Taro crops and chickens competition). In this contest the community is divided into two rival teams. Members of each team compete for who can grow the heavier taro or larger chickens; the climax comes with the weigh-off between the competitors, concluding a day of good-natured rivalry and fun. There is a wharf on Vaitupu but no harbour, meaning one must board a smaller boat from the inter-island passenger/cargo ships to get to the Vaitupu. There are paths and small unpaved roads throughout the island. Only a few cars drive on Vaitupu. In the main village there is a guest house called Vivalia III located at the wharf near the main church. On 5 October 2016 Chief Justice Sweeney of the High Court of Tuvalu declared that Apisai Ielemia’s parliamentary seat was vacant as he was no longer qualified to be a member of parliament, as the consequence of the short time the opposition MP served time in jail following his conviction on 6 May 2016 in the Magistrate’s Court of charges of abuse of office during the final year of his term as Prime Minister (August 2006 to September 2010). Ielemia is challenging the decision of Sweeney CJ in the Court of Appeal of Tuvalu in 2017. The by-election took place on 19 July 2017. Isaia Vaipuna Taape, was elected with about half the 1,100 votes, 41 votes ahead of Melton Paka Tauetia. Reverend Sir Filoimea Telito, GCMG, MBE, as a young man became a teacher at Motufoua Secondary School. After completing theological studies, he returned to Motufoua to serve as Pastor. Later he became Principal of Motufoua, then in April 2005 he was appointed to be the Governor-General of Tuvalu. Sir Tomasi Puapua, GCMG, KBE, PC represented Vaitupu in the Parliament of Tuvalu. He was the second Prime Minister (1981-1989). Puapua later served as Governor-General of Tuvalu (1998-2003). Taukelina Finikaso represents Vaitupu in the parliament. He served as Minister of Communications and Works (2006-2010) and was appointed the Foreign Minister on 5 August 2013 following Enele Sopoaga becoming prime minister. Apisai Ielemia served as Prime Minister of Tuvalu (2006-2010). He has represented Vaitupu in the Parliament of Tuvalu.